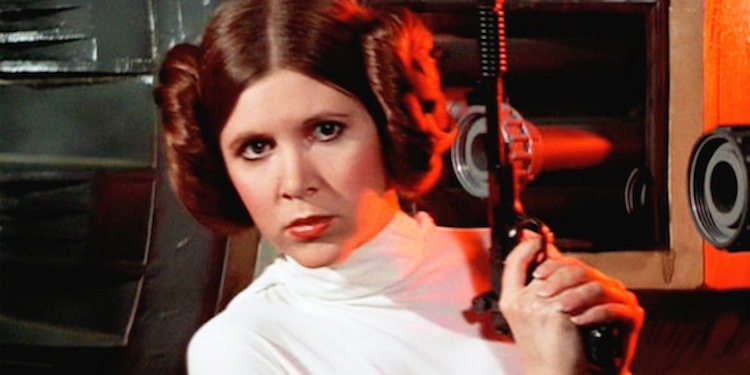 The feminist princess and protagonist of the Star Wars series has gone on to become one with the Force – Carrie Fisher passed away from cardiac arrest this Tuesday at the age of 60. Earlier this week, Fisher was on a flight from London to Los Angeles when she reportedly stopped breathing. A passenger performed CPR while paramedics rushed to the scene and escorted her to the Ronald Reagan UCLA Medical Center. Though her family reported her condition as stable on Christmas, she reportedly passed away this morning at 8:55AM Pacific Time. Fisher wasn’t just the headstrong General Organa of the historic sci-fi series – since she took the iconic Star Wars role at the age of 19, she starred in dozens of films, such as When Harry Met Sally, The Blues Brothers, Hook, Austin Powers, and The ‘Burbs. Her books spanned from screenplays, to novels, to autobiographies, all of which displayed endearing honesty.